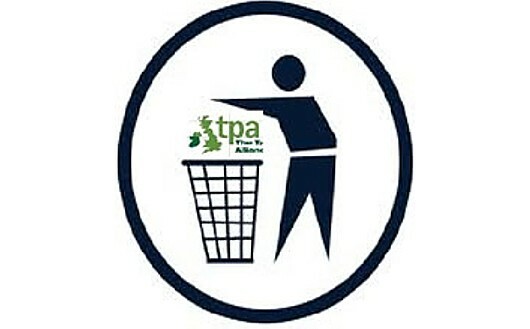 Bin it: We don’t need the Taxpayers’ Alliance or its rubbish ideas. For a change, it isn’t the government! The Taxpayers’ Alliance, an organisation of right-wingers determined to turn the UK into a low-tax economy by any possible means, has decided that Universal Credit claimants need to do community service-style unpaid work – or they shouldn’t receive a penny. According to the BBC, the group reckons people should do 30 hours’ unpaid activity every week, and has suggested this could save £3.5 billion in social security payments every year. Is that because it has worked so well in the past? Schemes like this are already in place for jobseekers and, guess what, they don’t work. It costs more money to employ the private firms that administer them than they ever succeed in saving, and their success rate in getting people into jobs is so bad that benefit claimants would have a better chance of success if they just go and look for work by themselves. In addition, Universal Credit will be paid to working people who claim, for example, tax credits and/or housing benefit. They have to claim these benefits because their employers do not pay them enough money to cover all their necessary outgoings – food, rent, electricity and so on. 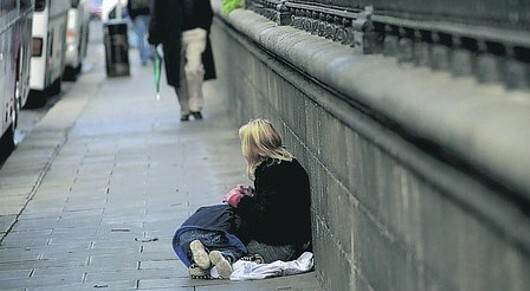 That is a result of right-wing government policy that aims to keep wages low. How are these low-paid working people supposed to fit another 30 hours’ work into their already-busy week? Also: Community service? That’s what convicted criminals do. Unemployment is not a criminal offence and every TPA member should be ashamed that their leaders have conflated the two. Finally, for every person carrying out unpaid work, a paid job is removed from the economy. Has it not occurred to the Taxpayers’ Alliance that the amount HMRC collects from them might drop, if more people were actually paying taxes? Probably not, but then – oh, look – it seems the TPA is being investigated for, don’t laugh, dodging tax. “Taxpayers rightly expect something back for the enormous amount they pay for out-of-work benefits, at the very least a real commitment to find a job as soon as possible,” said TPA chief executive Matthew Sinclair, proving in a single sentence that he understands neither Universal Credit nor the fact that people who claim it are also taxpayers. No – this is not about helping anybody. It won’t save government money; it won’t help businesses and it certainly won’t help people on Universal Credit. This is about demeaning people who are already in a very difficult place through no fault of their own. It is about pretending that they are a burden on society when it is the government’s own schemes – and the schemes that the TPA wants brought in – that are creating the burden. Still, today’s misguided and wholly wrong-headed outburst does allow us to clarify what is needed. People in work need to be paid a living wage, and should be respected by their employers for the work that they do. And firms currently taking part in unpaid ‘workfare’ schemes need to be told that enough is enough; they’ve had the benefit of free workers for many years, and now it’s time to give something back by turning those positions into paid jobs – again at the living wage. People in paid work pay taxes – and those earning enough that they don’t need any benefits at all are a double boon to the Exchequer because they pay into the Treasury but do not take anything out. “This government is taking action domestically on [tax] avoidance and evasion,” wrote George Osborne in an article for The Observer, back in February. How right he was. The Tory-led Coalition has done everything in its power to facilitate tax avoidance and ignore evasion, it seems, including the latest wheeze, which is to link it with a feeble attempt to get working people to throw away their rights in exchange for a few shares. The BBC has reported that the new status of “employee shareholder” has come into force, allowing working people to claim shares in the company that employs them, if they give up the rights to claim unfair dismissal and statutory redundancy pay, the right to request flexible working (except in the case of two weeks’ parental leave), and some rights to request time off for training. Nobody in their right mind would do this and expert opinion is that take-up will be small. So why do it? Yes – it’s a tax dodge! This will, of course, involve a drop in tax income to the Treasury, meaning increases in the national debt and deficit, which the Tories will no doubt use to justify further cuts to public service budgets as part of their ‘Starve The Beast’ agenda. 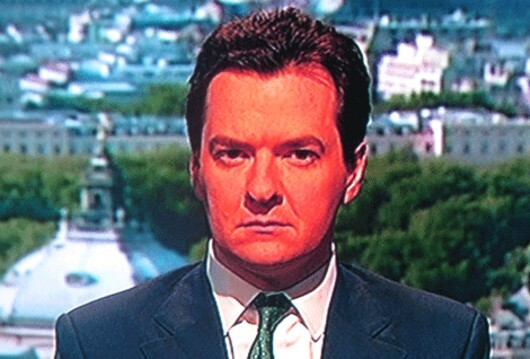 Remember, this country has a chancellor who, for ideological purposes, actually wants to harm the British economy. 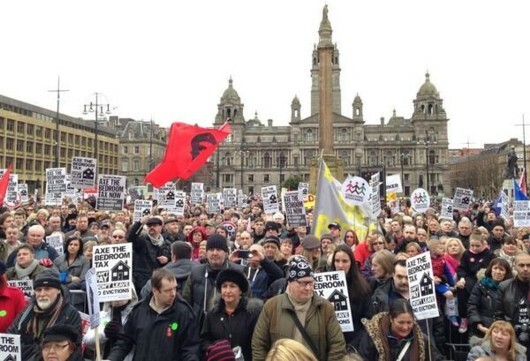 Public unrest: Thousands of people across the UK have demonstrated against government decisions that have increasingly burdened poor people with higher taxes while the rich, and fabulously wealthy corporations, have received tax breaks. The government’s response has been to order water cannons from Germany. Think about that. How long does George Osborne expect us to believe his blather about cracking down on corporate tax avoidance when we have evidence all around us that he is helping multinational firms to get out of paying the tax they owe this country. This is taking place at a time when the UK tax take should be maximised, in order to get borrowing down and help the country pay its bills. And it is being organised by the Chancellor of the Exchequer – the government member whose principle job is to ensure that those bills can be paid. All this doubletalk suggests he has a personal agenda that is different from what he’s been telling us, doesn’t it? Vox Political has already dealt – at length – with the fact that the Coalition government has legislated to make it easier for UK-based multinationals to shift their income into ‘mailboxes’ in tax havens, in order to avoid paying tax in this country. Why is Osborne doing this, when he knows we need the money? We know that Osborne has cut Corporation Tax by a quarter – from 28 per cent to 21 per cent – during the course of this Parliament, even though changes in the rate of this particular tax have been proven to have no effect on economic improvement. Look at the USA, where a Corporation Tax rate of 40 per cent has done nothing to hinder the resurgence of that country’s economy. Meanwhile, we have been hit with a large increase in sales tax (VAT) which hits poor people hardest. As a result, they have to reconsider their purchases and buy fewer items, meaning the Exchequer takes less money, with this tax, than it should. 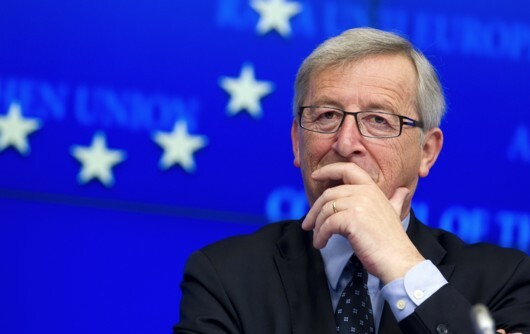 The European Commission reckons it has declared war on tax evasion and avoidance – but has instructed member nations to single out only non-EU countries as havens, even though member states including Luxembourg, the Netherlands, Ireland and Belgium are known to have engaged in potentially harmful tax behaviour. Why are these countries doing this, when they know they need the money? Beginning in 2009 (meaning we started this under a Labour administration, please note), the UK began switching from taxing worldwide income to solely taxing profit that companies claim is earned within the country, a so-called “territorial” system. It eliminated taxes on dividends paid to a UK company, even if coming from a subsidiary in a tax haven. Why is Osborne continuing with this, when he knows we need the money? Beginning last month, the UK slashed the tax rate to 10 per cent from the regular 23 per cent rate on profit attributed to patents and intellectual property. Here’s why, according to Yvette Hodgson, a spokeswoman for the Treasury. She said the government is “committed to creating the most competitive corporate tax system in the G20. So 21st century taxation means beggaring not only populations but governments as well, while allowing multinational corporations to make off with all the cash? No wonder people in Britain are so angry. We have every right to be. 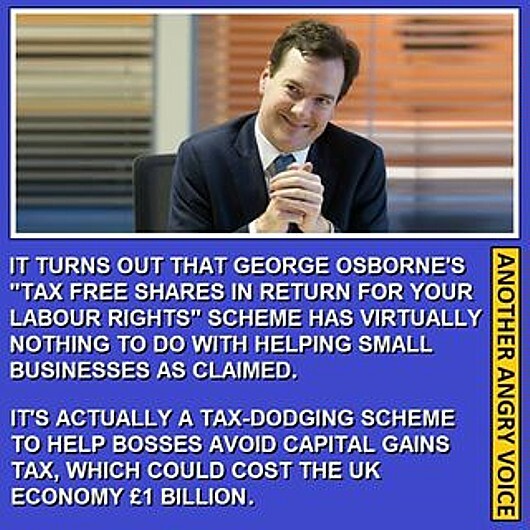 0sborne has every reason to be red-raced with embarrassment over his pitiful record regarding tax avoidance. Parliament’s public accounts committee has done all the hard work for him and he still can’t put it into practice! Revenue and Customs bosses, reeling from the broadside they took for claiming the UK’s tax-dodging public enemy number one was a hairdresser from Liverpool, can take no solace from the attitude of Parliament’s own public accounts committee. Three days before HMRC published its silly little list, the committee called on it to “publically name and shame” all organisations and individuals who sell or use tax avoidance schemes, in order to discourage such activity. The fact that the organisation has not taken the opportunity to do so serious undermines its position. Tax avoidance—using tax law to gain a tax advantage not intended by Parliament—reduces the money available to fund public services and is completely unfair to the majority who pay the tax due. 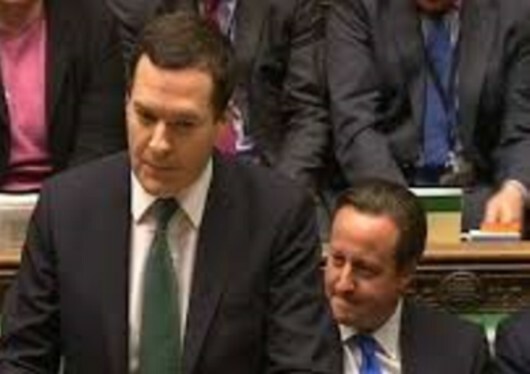 HM Revenue & Customs (HMRC) estimates that in 2010-11 the tax gap due to avoidance was £5 billion. HMRC further estimates that the present total tax at risk from avoidance over time is £10.2 billion. In Australia, promoters have to get clearance for schemes before they introduce them. An advance ruling system of this type could deter contrived avoidance schemes and increase certainty in the tax system. Australia has also introduced powers to fine those who promote schemes that could not reasonably be expected to work or comply with the advance ruling system. “Promoters of ‘boutique’ tax avoidance schemes like the one brought to our attention by the case of Jimmy Carr, are running rings around HMRC,” said Margaret Hodge, chair of the public accounts committee. “They create schemes which exploit loopholes in legislation or abuse available tax reliefs, such as those intended to encourage investment in British films, and then sign up as many clients as possible, knowing that it will take time for HMRC to change the law and shut the scheme down. “Their clients can then take advantage of this window of opportunity to make a lot of money at the expense of the taxpayer, while the promoter simply moves on to a new scheme and repeats the process. It is a game of cat and mouse and HMRC is losing. “It has allowed a system to evolve where the die are loaded in favour of the promoters of tax avoidance schemes. The complexity of tax law creates opportunities for avoidance, there are no penalties to stop people promoting these schemes, and HMRC is ineffective in challenging promoters who are deliberately obstructive or deliberately sell schemes they know do not work. Promoters pocket their fees whether their schemes work or not. “There is also a lack of transparency that makes it very hard to find out who is involved in marketing or using these schemes. HMRC publicises details of schemes that do not work but does not name the promoters or the clients. We have seen how public anger and consumer pressure can influence large companies, such as Starbucks, to behave more responsibly. 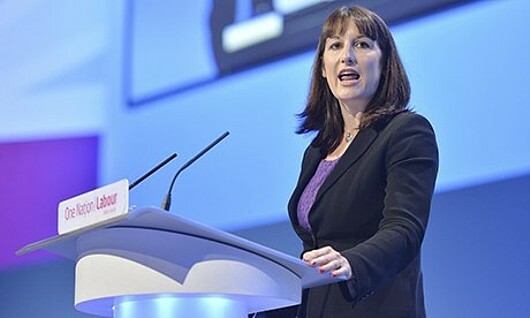 “HMRC should publically name and shame those who sell or use tax avoidance schemes in order to discourage such activity. With at least £5 billion lost to tax avoidance each year, HMRC has got to get much more robust in its approach. “The requirement that promoters give early notification to HMRC of new schemes has resulted in the swift closure of some. But the Department does not know how many promoters simply choose to ignore the requirement. We are also alarmed to hear that promoters are getting off paying fines for not disclosing their schemes by pleading that, in the opinion of a QC, they have a ‘reasonable excuse’ for non-disclosure. HMRC is right to explore how to make it more difficult for this tactic to work. 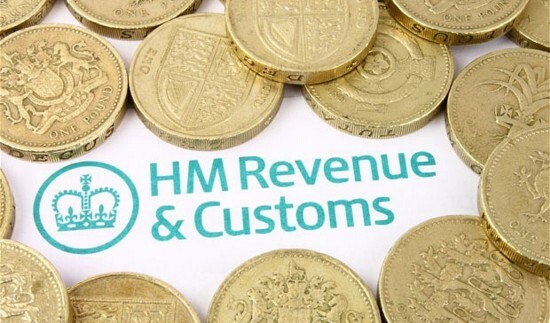 “The number of cases HMRC takes to court is tiny compared to the overall caseload. It must make use of the additional resources it has been given to act much more urgently to investigate and close down new schemes and to bring more cases to court. I wonder if the rules on banning tax-avoiding businesses from taking up government contracts will ever see the light of day? No wonder Osborne can’t pay his debts – he’s chasing hairdressers for tax-dodging! It is no surprise at all that the UK has lost its triple-A credit rating from make-it-up-as-you-go Moody’s. The change has been expected since before Christmas, but that doesn’t make it any less significant. Gideon George Osborne spent the first years of this Parliament using it as a stick to beat Labour – that the UK’s credit rating was the best it could be, thanks to his policies, not theirs. That was a lie, of course. Others who know more about such matters can better explain the reasons but they have more to do with the value of bonds and savings than anything he did to improve the economy. Like all credit rating agencies, Moody’s is a group of people who meet every so often and decide on particular countries’ scores, based on nothing more concrete than their own personal opinions. They can’t predict the future; they can only react to the present. That’s why they’re dubbed “make-it-up-as-you-go” at the top of this article. But you can work out what that means, at this moment in time: 0sborne can’t pay his debts. That’s astonishing. This is the world’s sixth largest economy, according to the International Monetary Fund. We make staggering amounts of money every year, so the operative question now is: Why the blazes can’t he pay his debts? The answer lies in another story that broke last week – HM Revenue and Customs’ list of tax dodgers. This is the list compiled by HMRC in response to public outrage against the tax-dodging schemes of large corporations like Starbucks, Amazon, the water companies mentioned in this blog before Christmas, Vodafone, Arcadia group and so on. Who do you think this list marks out as public enemy number one? Apparently this person was scalped of £17,000 for deliberate default. Others include a knitwear firm, a wine firm and a pipe fitter. Meanwhile the amount of cash seeded away in offshore tax havens by the UK’s super-rich is estimated at £21 trillion. That’s 21 TRILLION – more than enough to pay all of our debts and put us back into surplus. 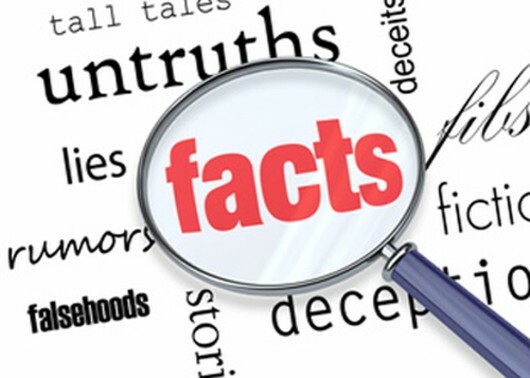 0sborne continues to use the ‘Big 4’ accountancy firms – all of whom operate many tax avoidance schemes for clients – to write the law on tax avoidance; and he changed the law to allow large companies great opportunities to avoid paying tax in the UK. 0sborne himself, remember, was identified as having profited from tax avoidance himself, and in fact offered advice on tax avoidance in a TV interview, while David Cameron’s family made a fortune on tax avoidance schemes. There is only one conclusion to be reached: The Chancellor is using the HMRC list to laugh at us. He’s mocking the poor, who have to pay tax no matter what. He’s not going to level the playing field because that would harm his own profits and those of his friends. The Chancellor of the Exchequer is deliberately harming the UK economy.